The lively packed Friday night Live Theatre crowd were in for a treat in Chicken Pox Fox’s latest production. Each member of the audience was offered a party popper and a large pair of glasses to wear during the show. This immediate interaction sets the show apart from the rest. Donna is not the most popular member of her class but the 14 year old sees the positives in the world. 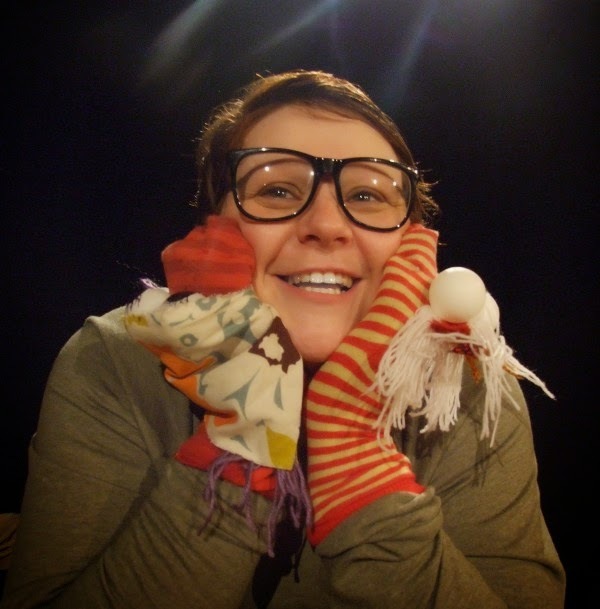 This attitude helps the audience feel empathy for the character as she reveals her obsession with her neighbour Stuart. Donna is loyal to her father and her Gran, though she doesn’t fully understand her Mother. She loves alphabetti spaghetti and cream crackers between drinking plenty of sugary drinks. Donna is given the opportunity to present her school project at the Christmas Pageant. She interviews Stuart and finds out about someone with a different lifestyle to her. The project has the aim to find out how to make a dance go whoosh too and it helps that Stuart loves The Carpenters a much as she does. It is clear that she is accepting of an unacceptable situation at school. To that end the play uses the fourteen year old eyes to show how our most vulnerable children can fail to get the support that they need. Paula Penman does a superb job as Donna. She is engaging and delightful in equal measure. From the first entry onstage, the brief puppetry interludes through to final enlightenment Paula had the audience captivated. 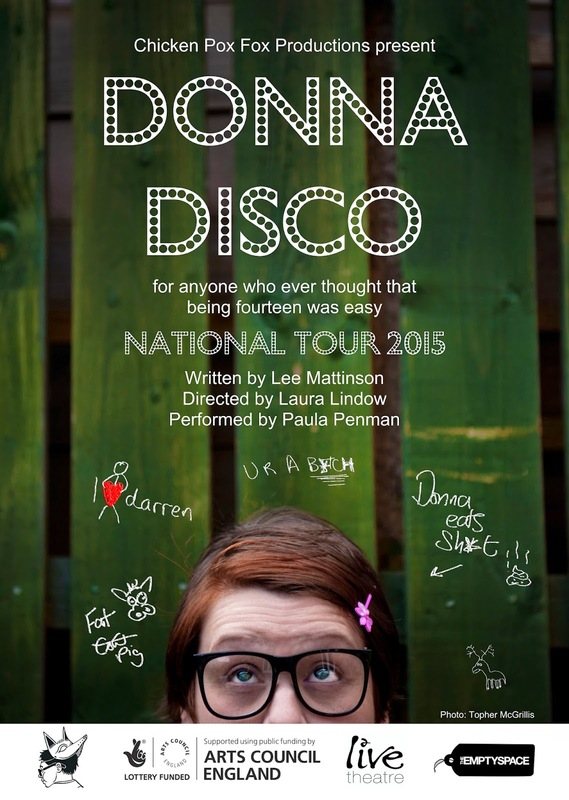 Donna Disco is a charming play, centred around a powerful performance by Paula Penman, which enraptures the audience in its celebration of the human condition.